The Anam is emerging as a gateway to Vietnam’s rich art and culture, ushering talented local artists on to its grounds weekly to practice their craft as it serves up a smorgasbord of street food favorites. The luxurious resort overlooking Long Beach on Cam Ranh’s peninsula will welcome four artists each Wednesday under a new artist-in-residence program beginning this month. 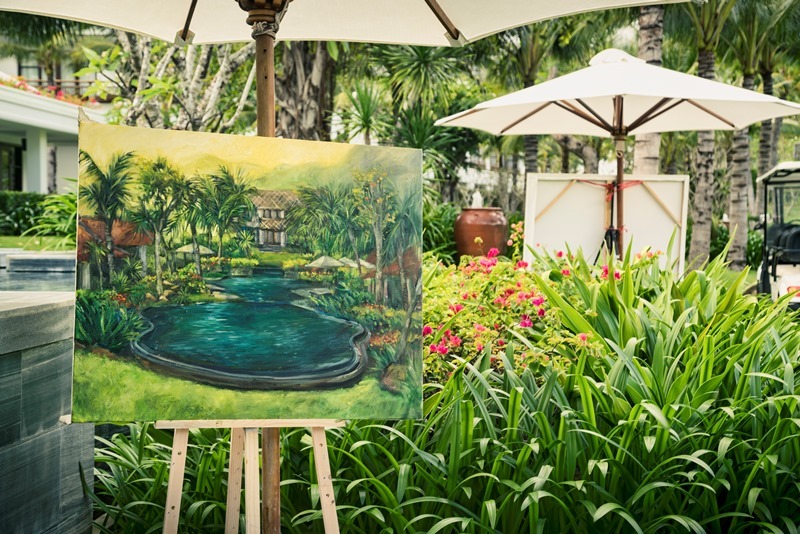 Adjacent the resort’s infinity pool giving way to the beach, a vast deck at Vietnamese restaurant Lang Viet will become an outdoor art studio and gallery from 5pm to 9pm, permitting guests to mingle with the artists as well as inspect a showcase of the artists’ completed pieces. As part of the new street food buffet from 6.30pm – 9.30pm, chefs at Lang Viet’s six cooking stations will cook up a storm, serving dishes such as bò lá lốt (grilled beef wrapped in betal leaf), tôm nướng (grilled prawns), mì quảng (egg noodle soup with pork ribs, quail egg and bean sprouts) and nộm bò khô (green papaya salad with dried beef). Artwork by the talented local artists will be available for purchase, making for original holiday mementos. 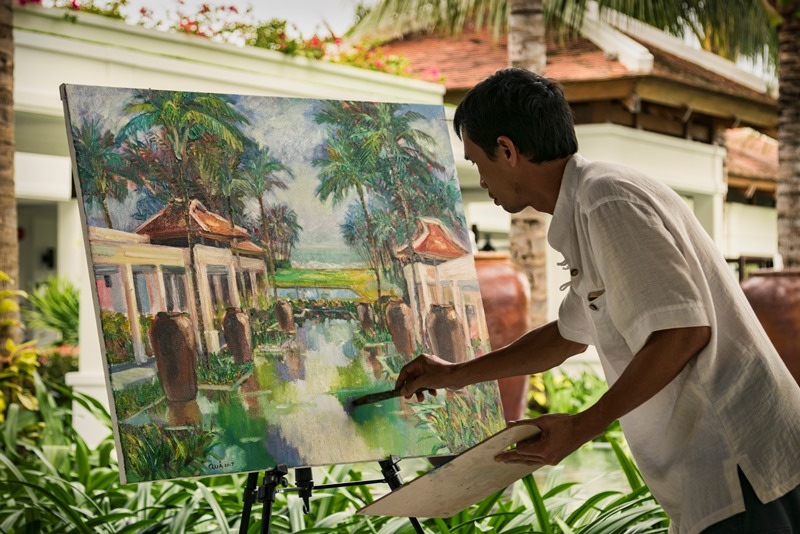 Driven by his interest to get to know the local artists personally, the Anam’s general manager Herbert Laubichler-Pichler enlisted Nguyễn Hồng Vân, who opened Nha Trang’s first art gallery called The Rainbow Gallery, to create the artist-in-residence program. Artists involved include painter Bùi Văn Quang, a member of the Vietnam Fine Arts Association who depicts situations from the daily lives of Vietnamese through use of the country’s rich colors, as well as painters Trần Thị Bảo Trân, Lưu Thành Quả, Nguyễn Hữu Bài, Ngô Đăng Hiệp and Lê Huỳnh, metalwork artist Bùi Trung Chính and the sculptor Đoàn Xuân Hùng. 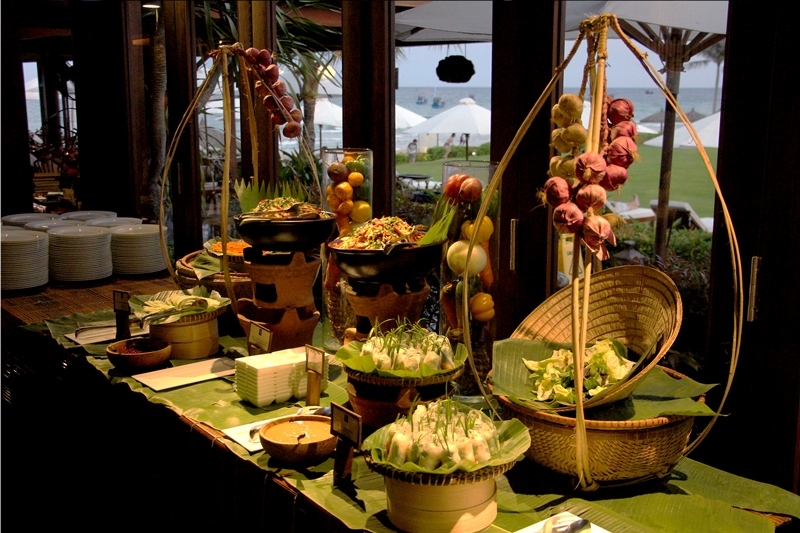 As the artists practice their craft, the resort’s Vietnamese restaurant Lang Viet will serve a new street food buffet, featuring an array of street food favourites and live cooking stations. The artwork will be available for sale, making for original holiday mementos. 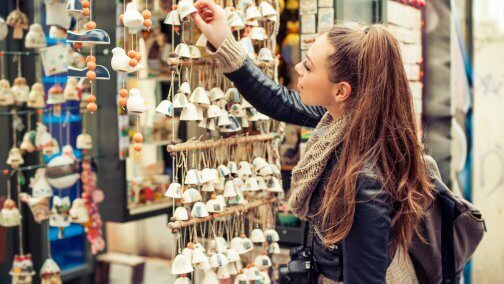 The resort also offers an intimate art tour, that takes art lovers into the galleries and homes of local artists, and a four-day artist-in-residence program annually during the festive season. The artist-in-residence program and the street food buffet are held each Wednesday from 5pm-9pm and 6.30-9.30pm respectively. 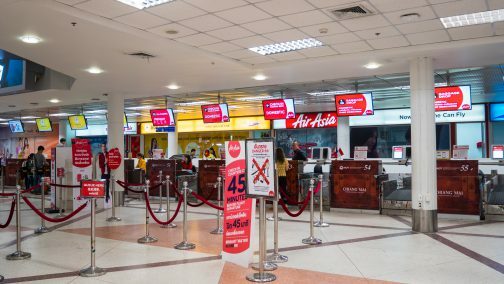 AirAsia’s facial recognition system: Convenience or concern? 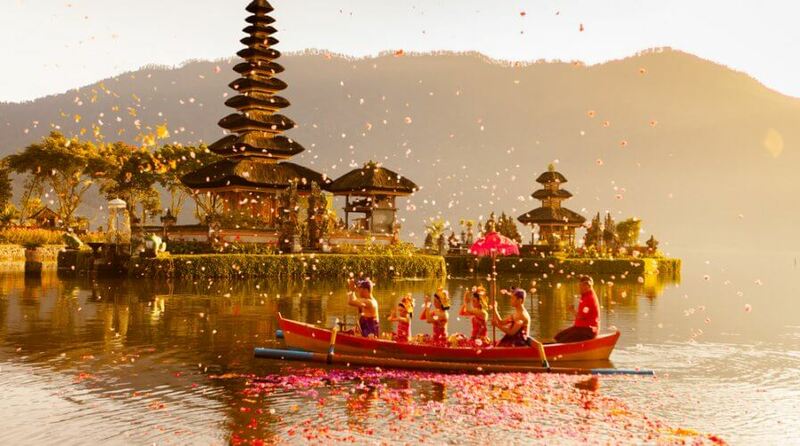 Will stricter temple visit rules result in better quality tourists for Bali?